Ellery’s ProtestThe Last Strawberry - Sale! "Does a god exist? This question has undoubtedly been asked, in one form or another, since man has had the ability to communicate. . . Thousands of volumes have been written on the subject of a god, and the vast majority have answered the questions with a resounding 'Yes!' You are about to read a minority viewpoint." 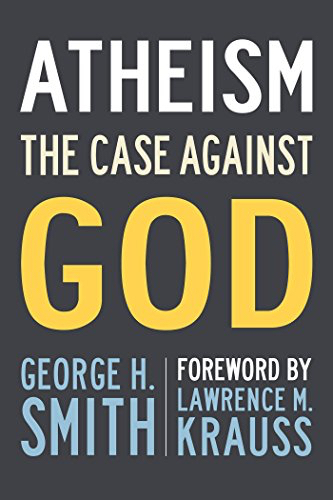 With this intriguing introduction, George H. Smith sets out to demolish what he considers the most widespread and destructive of all the myths devised by man - the concept of a supreme being. With painstaking scholarship and rigorous arguments, Mr. Smith examines, dissects, and refutes the myriad "proofs" offered by theists - the defenses of sophisticated, professional theologians, as well as the average religious layman. He explores the historical and psychological havoc wrought by religion in general - and concludes that religious belief cannot have any place in the life of modern, rational man.